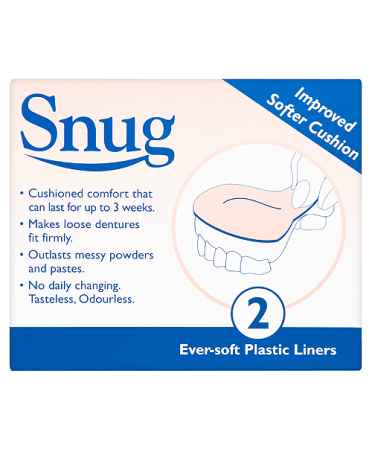 Snug cushions are for use on plastic dentures - do not use on vulcanised rubber or metal plates. How to fit Snug Denture Cushions. 1. 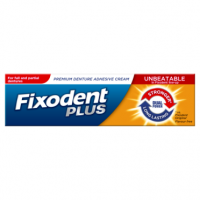 Ensure denture is thoroughly clean and dry. Complete dryness is essential - any moisture will affect Snug adhesion. A hairdryer can be used on a low heat to ensure complete dryness. 2. Cut Snug to the shape of your denture but leave more than 1/4" all round the edge. 3. 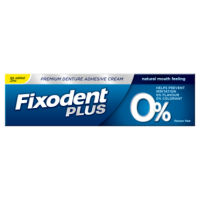 Remove the protective backing and place Snug on the denture. It may be helpful to warm the denture slightly (e.g. by using a hairdryer on low heat) immediately before applying the cushion. The slight warmth can help the cushion mould to the shape of the plate. 4. Fit the cushion in position starting from the central part. Carefully avoid creating any air bubbles. Do not press into ridge area as air pockets will develop. 5. Use the same procedure at the edges until adhesion is perfect. Cut off the excess cushion. Close adhesion at the edges is essential to prevent moisture seeping underneath - sealing can be assisted by using a hot teaspoon. 6. Rinse the mouth with warm water to remove all excess saliva. 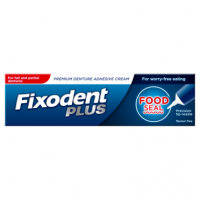 Insert the denture and then clench the teeth for 5 to 10 minutes until denture feels seated. A drink of hot tea or coffee will help the moulding process. 7. 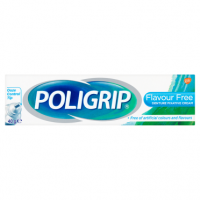 Remove denture and check that Snug has moulded itself perfectly to the shape of your denture. 1. Follow the same procedure but cut out a place for the tongue. 1. Snug will wear longer on some dentures than on others because individual mouth conditions vary. 2. Change approximately every three weeks. 3. When your cushion needs replacing, simply pull it off. If it proves difficult to detach, pass it through cold water for a few minutes and pick it off with a sharp pointed instrument. Do not remove Snug from denture for cleaning. Brush gently with a firm brush only using cold water. Dentures fitted with Snug Denture Cushions may be soaked overnight in cold water if desired. For temporary use to hold loose dentures in place until a dentist can be seen. A Snug cushion should be replaced after approximately 3 weeks. Snug cushions will last approximately 3 weeks and should not be worn for longer periods. 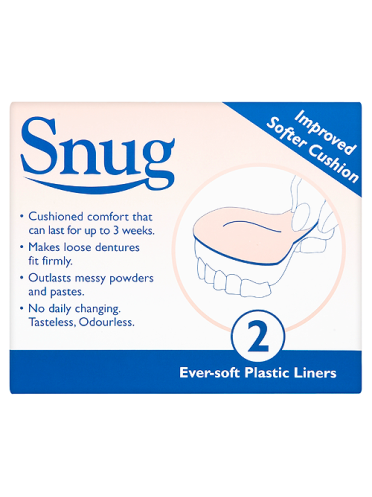 Soft & Comfortable Denture Cushions. Makes loose dentures fit firmly. Outlasts messy powders and pastes.